Top-ranked Al-Muharraq blasted bottom-ranked Samaheej (0-6) in Manama 100-58 on Wednesday evening keeping the perfect record after 6 rounds. Samaheej is still unable to win any game. Al-Muharraq dominated down low during the game scoring 52 of its points in the paint compared to Samaheej's 32. They outrebounded Samaheej 50-37 including a 35-22 advantage in defensive rebounds. Al-Muharraq looked well-organized offensively handing out 27 assists comparing to just 10 passes made by Samaheej's players. Great defensive blocking was one of the keys in this match when Al-Muharraq made 15 blocks. Ahmed Aldurazi scored 15 points, 6 rebounds and 6 assists to lead the charge for the winners and Mohamed Aldurazi chipped in 16 points and 8 rebounds during the contest. Al-Muharraq's coach Alen Abaz felt very confident that he used entire bench which allowed the starters a little rest for the next games. The best for the losing side was Basel Adel with a double-double by scoring 11 points and 10 rebounds. Undefeated Al-Muharraq (6-0) have an impressive five-game winning streak. They keep a position of league leader. Samaheej at the other side still closes the standings with six games lost. Bottom-ranked Al-Bahrain (0-4) is still winless. This time they lost on the road their fourth consecutive match to seventh ranked Al-Hala (3-3) 93-84. Thailand power forward Jalen Robinson (206-93, college: Dalton St.) notched a double-double by scoring 35 points (!!! ), 17 rebounds, 5 assists and 4 steals to lead the effort and Hussain Salman supported him with 16 points and 8 assists. Al-Hala's coach Zeljko Zecevic let to play all 12 players and allowed the starting five to rest. Even a double-double of 36 points (!!!) and 21 rebounds by American forward Lester Ferguson (208-88, college: Robert Morris) did not help to save the game for Al-Bahrain. Al-Hala moved-up to sixth place. Al-Bahrain at the other side still closes the standings with four games lost. A very close game took place in Nuwaidrat between Sitra and Al-Nweidrat. Sixth ranked Sitra (3-2) got a very close victory on the road over 9th ranked Al-Nweidrat (1-5). Sitra managed to escape with a 3-point win 78-75 on Wednesday evening. The best player for the winners was Mansour Kasse who had a double-double by scoring 30 points, 22 rebounds and 4 assists. At the other side the best for losing team was Ronnie Aguilar who recorded a double-double by scoring 23 points and 22 rebounds. Al-Nweidrat's coach Hamdo Frljak rotated ten players in this game, but that didn't help. Sitra moved-up to fifth place. Al-Nweidrat lost fourth consecutive game. They dropped to the eleventh position with five games lost. An interesting game took place in Manama where 6th ranked Al-Ittihad (2-3) was upset on the court of ninth ranked Al-Najma (2-4) 87-82. It was a good game for Kevin Rogers who led his team to a victory with 27 points and 8 rebounds (went 9 for 9 at the free throw line !!!). Al-Najma moved-up to eighth place. Al-Ittihad at the other side dropped to the seventh position with three games lost. In the last game of round 6 Isa Town lost to undefeated Al-Riffa on the opponent's court 46-63. The most impressive stats of the last round was 19 points, 22 rebounds and 5 assists by Mile Ilic of Al-Ittihad. Top-ranked Al-Muharraq blasted bottom-ranked Samaheej (0-6) in Manama 100-58 on Wednesday evening keeping the perfect record after 6 rounds. Samaheej is still unable to win any game. Al-Muharraq dominated down low during the game scoring 52 of its points in the paint compared to Samaheej's 32. They outrebounded Samaheej 50-37 including a 35-22 advantage in defensive rebounds. Al-Muharraq looked well-organized offensively handing out 27 assists comparing to just 10 passes made by Samaheej's players. Great defensive blocking was one of the keys in this match when Al-Muharraq made 15 blocks. Ahmed Aldurazi scored 15 points, 6 rebounds and 6 assists to lead the charge for the winners and Mohamed Aldurazi chipped in 16 points and 8 rebounds during the contest. Five Al-Muharraq players scored in double figures. Al-Muharraq's coach Alen Abaz felt very confident that he used entire bench which allowed the starters a little rest for the next games. The best for the losing side was Basel Adel with a double-double by scoring 11 points and 10 rebounds and Ahmed-Mohd Jafar scored 14 points. Al-Muharraq (6-0) have an impressive five-game winning streak. They keep a position of league leader. Samaheej at the other side still closes the standings with six games lost. Very expected game when 10th ranked Isa Town (1-4) was defeated on the road by top-ranked Al-Riffa (5-0) 63-46. Al-Riffa held Isa Town to an opponent 20.6 percent shooting from the field compared to 32.9 percent accuracy of the winners. They outrebounded Isa Town 59-38 including a 43-29 advantage in defensive rebounds. Al-Riffa players were unselfish on offense dishing 21 assists comparing to just 7 passes made by Isa Town's players. It was a good game for American power forward Joseph Jones (206-86, college: Texas A&M) who led his team to a victory with a double-double by scoring 23 points and 11 rebounds. International power forward Subah Hussain contributed with 9 points and 9 rebounds for the winners. 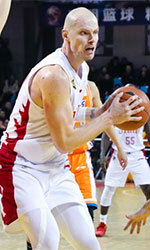 Al-Riffa's coach Audrius Prakuraitis gave the chance to play for all 12 players saving starting five for next games. Tunisian Ahmed Salman replied with 18 points and 5 rebounds and Serbian center Pavle Cvetinovic (215-97) added 10 points and 13 rebounds in the effort for Isa Town. Al-Riffa have a solid four-game winning streak. They moved-up to second place, which they share with Al-Manama. Isa Town at the other side keeps the tenth position with four games lost. A very close game took place in Nuwaidrat between Sitra and Al-Nweidrat. Sixth ranked Sitra (3-2) got a very close victory on the road over 9th ranked Al-Nweidrat (1-5). 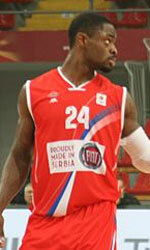 Sitra managed to escape with a 3-point win 78-75 on Wednesday evening. The best player for the winners was Senegalese center Mansour Kasse (208-92) who had a double-double by scoring 30 points, 22 rebounds and 4 assists. Mohayyad Ameer chipped in a double-double by scoring 15 points and 10 rebounds. At the other side the best for losing team was Salvadorean-American center Ronnie Aguilar (216-87, college: CS Dominguez H.) who recorded a double-double by scoring 23 points and 22 rebounds and Hassan Abbas added 15 points and 9 rebounds respectively. Al-Nweidrat's coach Hamdo Frljak rotated ten players in this game, but that didn't help. Sitra moved-up to fifth place. Al-Nweidrat lost fourth consecutive game. They dropped to the eleventh position with five games lost. An interesting game took place in Manama where 6th ranked Al-Ittihad (2-3) was upset on the court of ninth ranked Al-Najma (2-4) 87-82. Al-Najma players were unselfish on offense dishing 23 assists. It was a good game for American Kevin Rogers (206-86, college: Baylor) who led his team to a victory with 27 points and 8 rebounds (went 9 for 9 at the free throw line !!!). International Mohamed Buallay (-95) contributed with a triple-double by scoring 10 points, 11 rebounds and 10 assists for the winners. Four Al-Najma players scored in double figures. Bosnian-Serbian center Mile Ilic (215-84) replied with a double-double by scoring 19 points, 22 rebounds and 5 assists and Sayed-Mohd Hameed added 21 points and 6 rebounds in the effort for Al-Ittihad. Al-Najma moved-up to eighth place. Al-Ittihad at the other side dropped to the seventh position with three games lost. Bottom-ranked Al-Bahrain (0-4) is still winless. This time they lost on the road their fourth consecutive match to seventh ranked Al-Hala (3-3) 93-84. Al-Hala players were unselfish on offense dishing 25 assists. Al-Bahrain was plagued by 25 personal fouls down the stretch. Thailand power forward Jalen Robinson (206-93, college: Dalton St.) notched a double-double by scoring 35 points (!!! ), 17 rebounds, 5 assists and 4 steals to lead the effort and Hussain Salman supported him with 16 points and 8 assists. Al-Hala's coach Zeljko Zecevic let to play all 12 players and allowed the starting five to rest. Even a double-double of 36 points (!!!) and 21 rebounds by American forward Lester Ferguson (208-88, college: Robert Morris) did not help to save the game for Al-Bahrain. Khalid Ali added 15 points. Al-Hala moved-up to sixth place. Al-Bahrain at the other side still closes the standings with four games lost.